To improve overall body health and endurance and to reduce pain, do the following stretches as part of your normal daily routine as directed by Dr. Lisa. The therapeutic muscle lengthening can be done in bed or on the side of the bed. Do them in the order listed. If you experience pain or dizziness while doing the stretches, stop and ask further instructions at your next visit to our office. If you need to use a strap, keep it handy by your bedside to use each day. Perform the stretches at least once a day and hold each time for a few seconds, switching to the opposite side as needed. Each series of stretches should take a few minutes. Feel free to add additional stretches to the routine as you become more familiar with your body needs. Do not do any exercises you have been told to avoid. If you are new to stretching, start slowly so that you can appreciate the effect stretching has on your body. Feet: seated on a bed, grab heel/ankle/toes and swing leg up and out. Stretches such as these should be easy and quick to do and can be performed in a seated position from your bedroom while sitting on the bed. Make a habit of daily stretching to improve your health and increase body awareness. 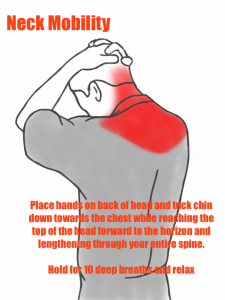 If you have pain or irritation during any of these stretches, ask for professional guidance at our office or elsewhere. When you stretch a muscle, you give that muscle more space to contract which improves strength. Stretching also affects ligaments and tendons- the structures that connect muscles to bones. When you stretch you move blood vessels and nerves which increases blood flow and nerve function. 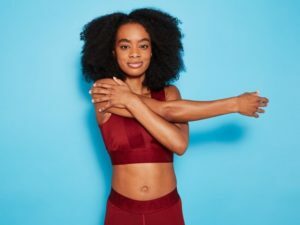 Additionally, running the body through its range of motion motivates and extends the digestive tract- stretches that long tube that carries food from the mouth, through the esophagus, past the diaphragm to the stomach, small intestine and large intestine. Stretch your body a little bit every day in the morning when you awaken and help your system to improve digestive health, re-boot, restore and recharge from the night’s sleep. Call Acupractic Natural Healing Center to learn more about effective stretching routine or to schedule an appointment today.